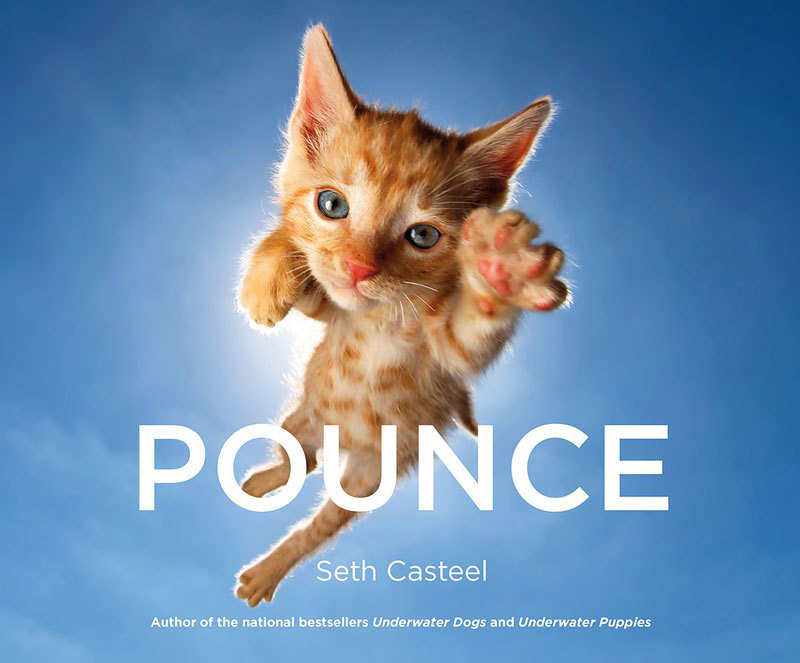 While it’s perfectly normal for Fluffy to scratch that occasional itch — hey, everybody itches sometimes — if he’s constantly scratching, something’s wrong. If you see fleas on him, you’ve probably figured out the problem. Although compulsive cat scratching, licking, or chewing behaviors can develop in any animal, they are more commonly observed in Siamese cats and other Oriental breeds. Female cats are more likely than males to lick, chew, or pull on their fur. Because there are a number of medical problems that may result in cat scratching and licking behaviors, be sure to consult with your veterinarian to help determine the cause and the best course of action. You might not see fleas on your cat, especially if he’s dark-haired. That doesn’t mean he’s not infested. If your cat suffers from a flea allergy, it only takes one of these tiny pests to make him miserable and scratch incessantly. Since cats can often catch their own fleas when grooming, fleas congregate in areas your cat’s tongue can’t reach, such as the back of his head and the base of his tail. A monthly, topical flea preventive can often rid Fluffy of fleas. You must also treat all other cats and dogs in the house. Since flea eggs mature in carpeting and upholstery, vacuum thoroughly and regularly. If you’re severely infested, you might need to call in an exterminator to get rid of the fleas in your home. When pollen season comes around, you might sneeze and suffer upper respiratory problems. Pollen and other environmental allergens can also affect Fluffy, but he’ll scratch rather than sneeze. 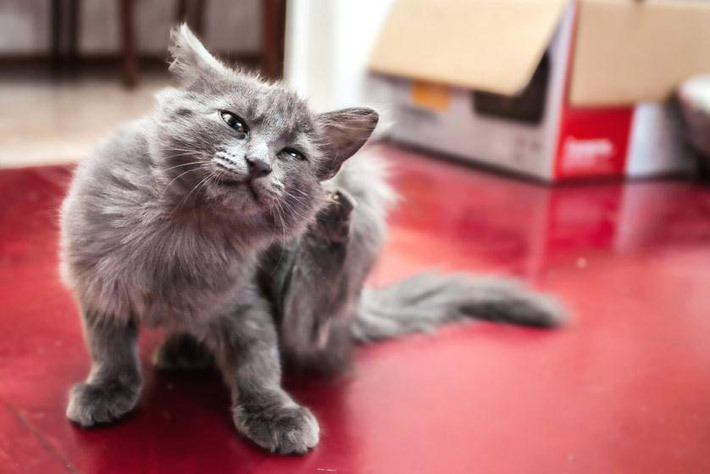 Dust mites, molds, grass and other triggers can cause seasonal scratching in your cat. Your vet can conduct allergy tests by taking blood samples and skin scrapings to figure out what bothers your cat. She’ll prescribe appropriate medication, such as antihistamines, as well as recommend preventive strategies. These might include using air purifiers in your house during certain times of the year. 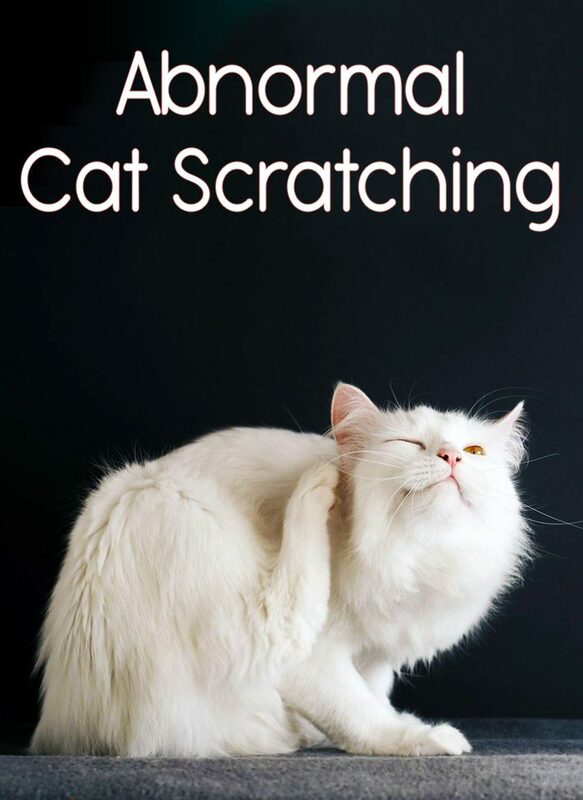 It’s quite possible that your cat’s abnormal amount of scratching is due to mental rather than physical reasons. Some cats incessantly scratch, bite, lick or chew, self-mutilating to the point of causing bald spots or lesions on their bodies. While this obsessive behavior can occur in any cat, Siamese and other Oriental breeds are the most likely to self-mutilate, and females more apt to do so than males, according to WebMD. 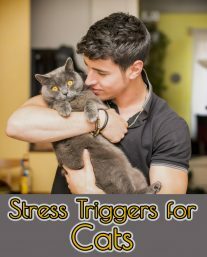 Your vet might prescribe antidepressants or anti-anxiety medications to stop the behavior. 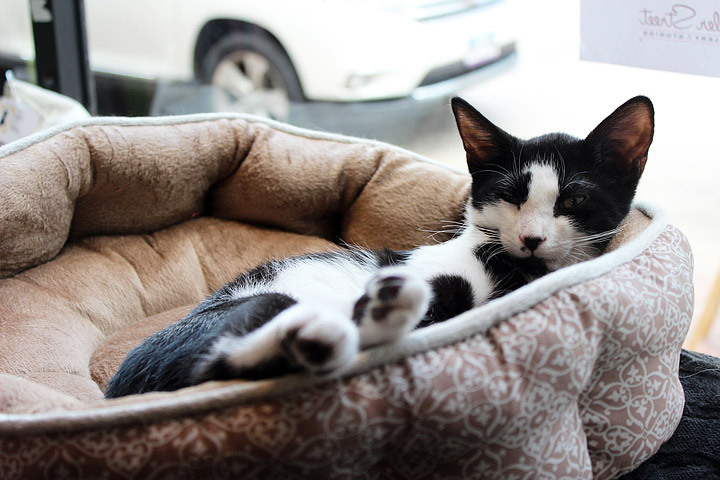 If your cat’s constant scratching centers on his ears, ear mites are probably the culprit. Check his ears and look for signs of inflammation or a brown substance in his ear canals. While healthy cats rarely have lice, if you find a stray, undernourished cat who’s constantly scratching, he might be lousy. Bring your cat to the vet for diagnosis and treatment, rather than relying on over-the-counter products to get rid of these parasites. Your vet can prescribe a topical flea control product that also eradicates lice and ear mites. Dry winter air or nutritional inadequacies can contribute to dry, flaky skin that gets your cat started licking or scratching in search of relief. If you notice your cat licking or biting at the same spot over and over again, it could be that he is experiencing pain or discomfort in that area.